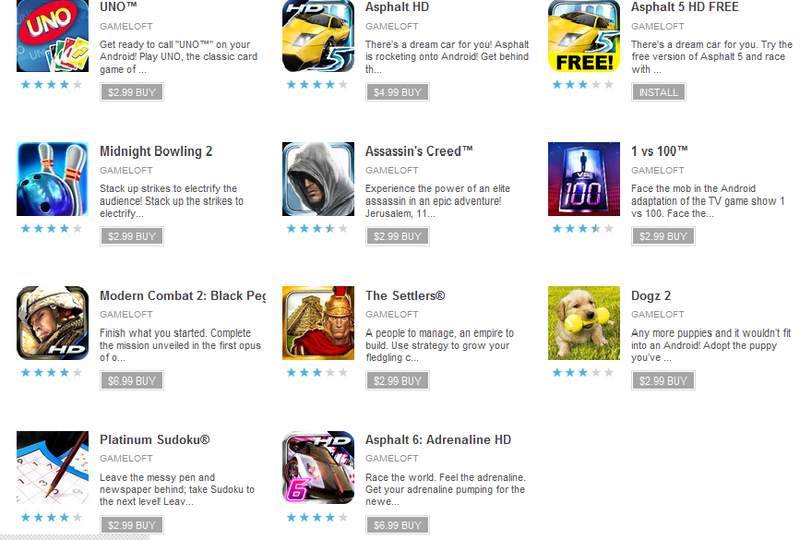 Just got a new Android phone and want to load up all of your previously downloaded games? Have you purchased a Gameloft title and not been able to transfer it to your new device due to Gamelofts fear of piracy? Fear no more! Gameloft has now modified their DRM (Digital Rights Management) to allow for the transfer of titles to all of your different devices. Before the policy change, users had to back up the games to their SD Cards and transfer over. (A shady process.) Now you can just go to the Gameloft website and re-download your games that you have purchased and install them on your new Android devices. This is definitely coinciding with Gamelofts decision to finally release some of their games on the Android Market as well. This call by Gameloft should definitely make users happy.